Of course, you can get your own Moth baby onesie at the Moth and Myth: The Bacon Fund shop! Well… it has Myth too. 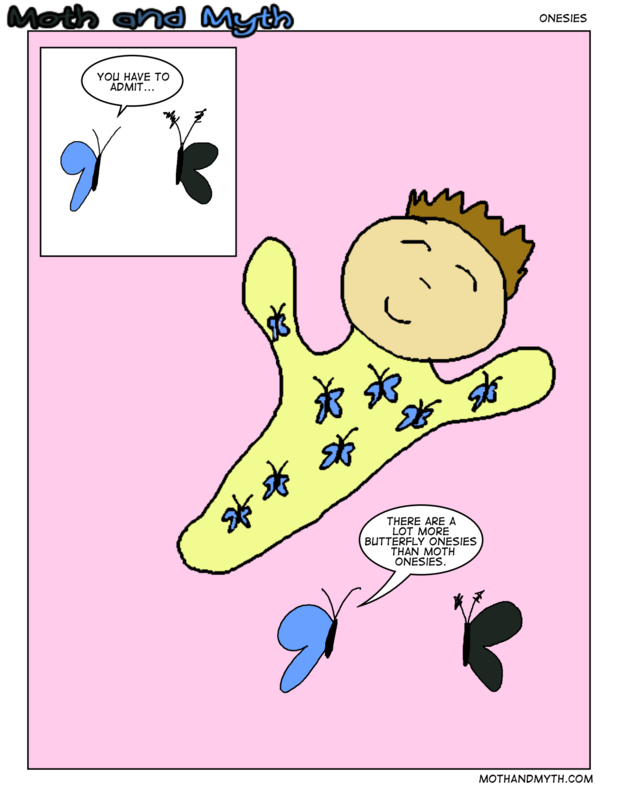 Because baby onesies need to have blue butterflies, apparently.